Liege The city is situated in the valley of the Meuse River, in the east of Belgium, not far from borders with the Netherlands and with Germany. Take A Break Holidays Accommodation. Only 50 metres from the TGV train station of Liège-Guillemins, this family hotel welcomes you in a friendly, relaxed atmosphere. Enjoy the bar and benefit from free WiFi throughout the hotel. The suite can accommodate two adults and two children. The small en suite sitting room has a sofa-bed, a flat-screen TV and a balcony. There is a fully equipped kitchenette with a microwave and a refrigerator. The bathroom comes with a shower and a hairdryer. Every morning, Matin tranquille B&B serves a wholesome breakfast. You can prepare meals on site or visit one of the eating facilities in the immediate surroundings of the property. There is a local bus stop 250 m from the bed and breakfast. St Lambert’s Square and the Prince-Bishops’ Palace in Liège are a 20-minute walk (1.7 km). The Carré District is 1.9 km. Liège-Guillemins Train Station with its architectural designs is 5.7 km from Matin tranquille B&B. Free parking is available. Accommodation Booked once in the last 48 hours. 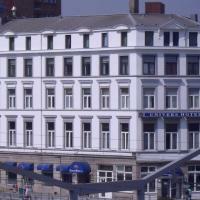 The property is 1.7 km from Congres Palace and 300 m from the Wallonian Art Museum. Tastefully decorated, the apartments at Smartflats Perron Residence offer bright, open spaces and feature a flat-screen TV, an iPod dock and a seating area with sofas. A fully-equipped kitchen is available, including a dishwasher and a microwave. In the bathroom you will find a hairdryer and free toiletries. You can enjoy the city view from the apartments. If you feel like taking a walk by the river Meuse, the promenade is just 400 m from Smartflats Perron Residence. The Botanic Garden in Liege is 1.6 km away and several museums are within 1 km from this property. Accommodation Just taken a booking! Views Around the City of Liège, Wallonia, Belgium. 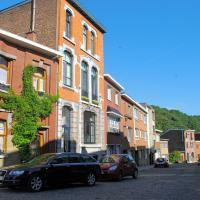 Liège is a major city and a municipality in Belgium. It is located in the province of the same name, Liège, of which it is the capital and is part of the Walloon (French-speaking) region of Belgium. The city is situated in the valley of the Meuse River, in the east of Belgium, not far from borders with the Netherlands and with Germany. At Liège the Meuse river meets the river Ourthe. The city is part of the sillon industriel, the former industrial backbone of Wallonia. It still is the principal economic and cultural centre of the region. 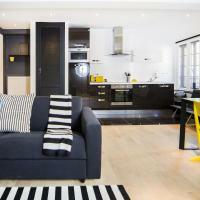 Take A Break Holidays takeabreakholidays, Liege Accommodation. San Francisco De Asis, Urb Marina, San Fulgencio, 03177, Alicante, Spain.